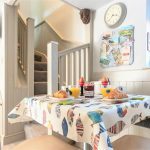 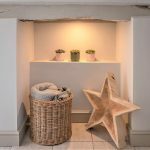 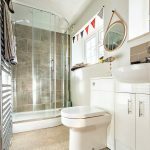 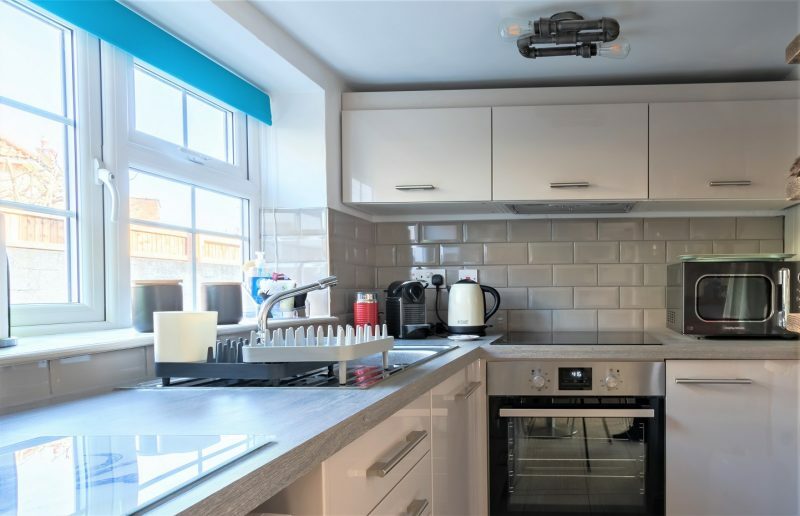 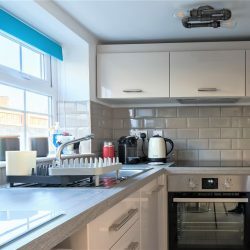 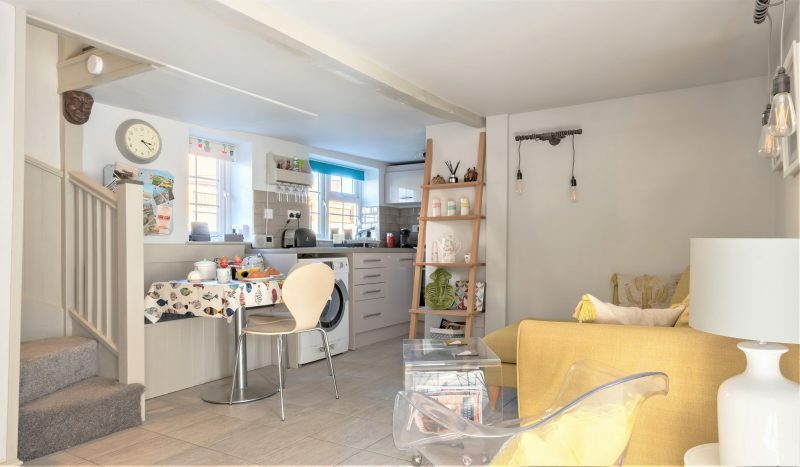 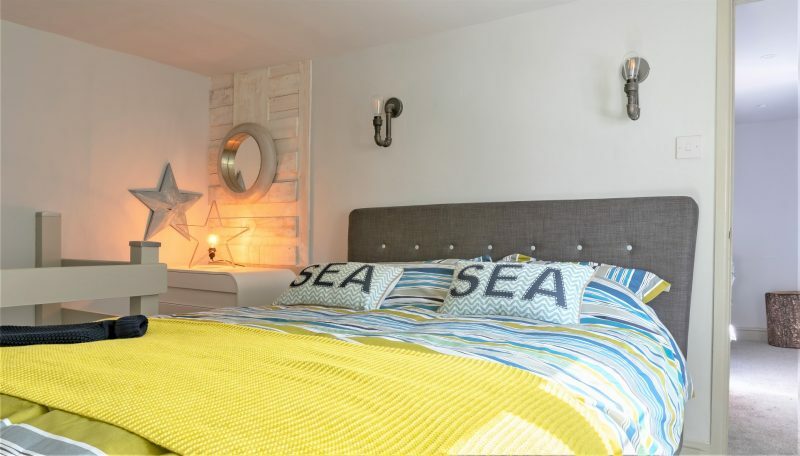 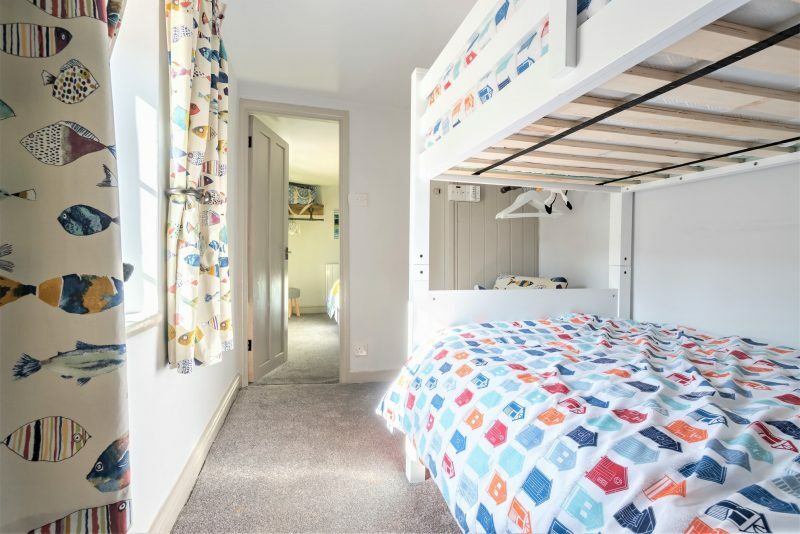 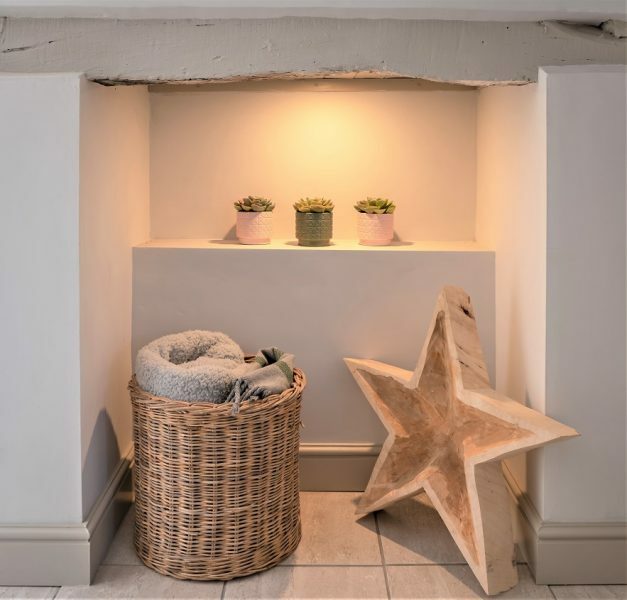 Lobster Pot Cottage is a super cute and stylish old fisherman’s cottage sitting in a superb location in the archetypal Norfolk seaside town of Sheringham! 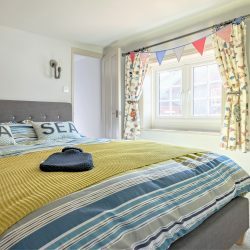 It’s just a short stroll away from Sheringham’s award-winning Blue Flag beach and yet away from the hustle and bustle of the High Street. 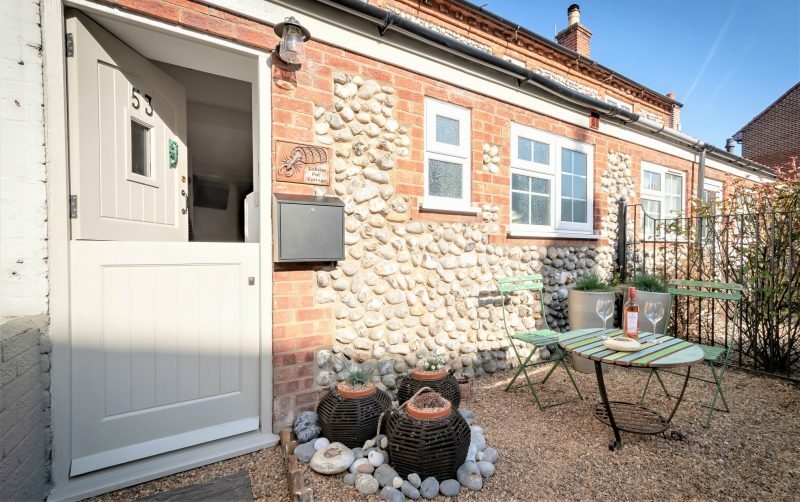 The beach in Sheringham has smooth flint pebbles when the tide is high and large expanses of smooth sand as the tide recedes, with rockpools emerging for crab hunting! 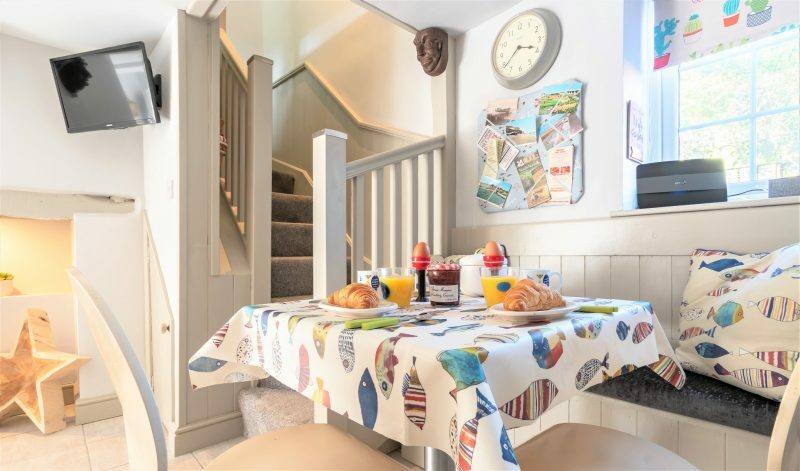 Cliffs rise on either side of the town, which has a backdrop of wooded hills, including the wonderful Sheringham Park famous for its displays of rhododendrons & fantastic coastal views. 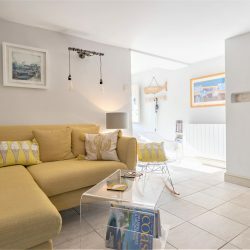 On the beautifully presented ground floor at Lobster Pot Cottage there is a sitting room with a corner sofa and wall hung Smart TV, a built-in dining area with breakfast table and a compact but extremely well-equipped kitchen. 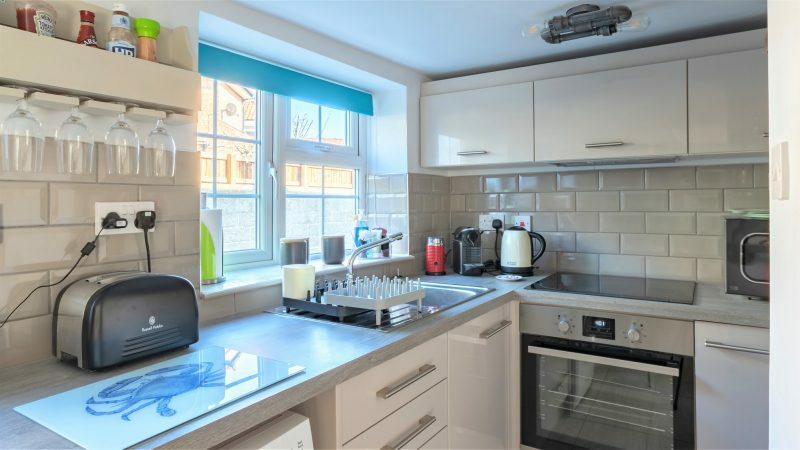 This includes a washing machine, integrated fridge, Nespresso machine, electric oven and induction hob. 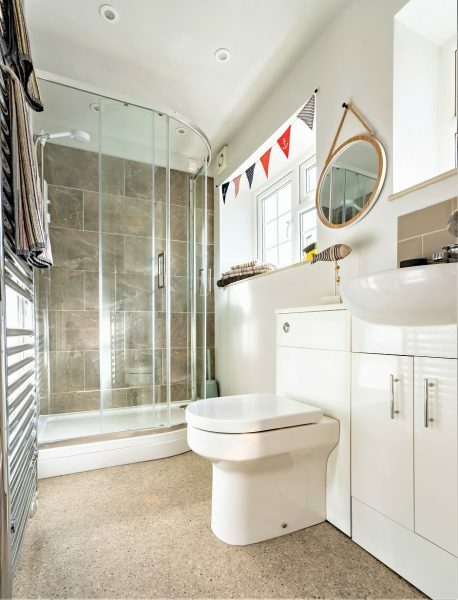 The bathroom has a spacious walk-in Mira power shower. 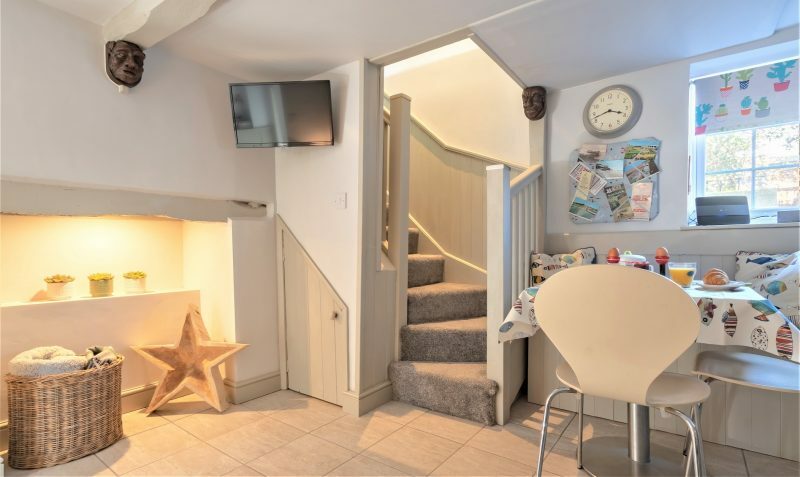 Upstairs the cottage has two bedrooms. 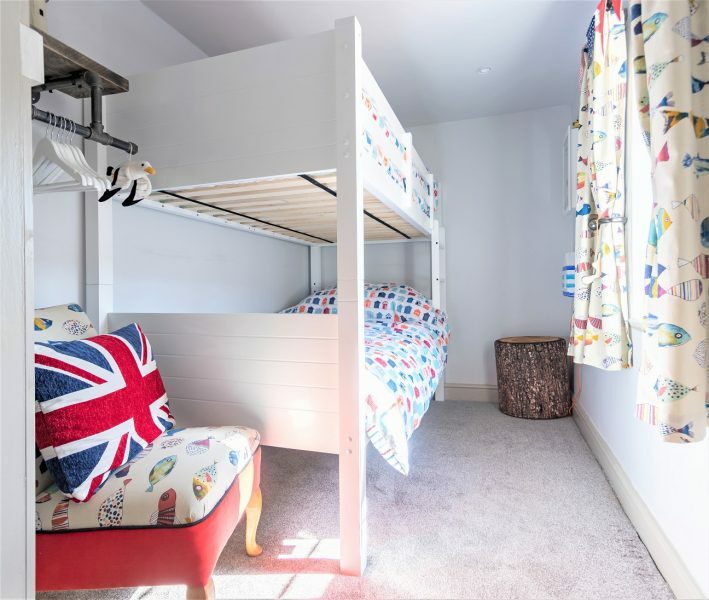 The master bedroom has a kingsize bed and the second bedroom has bunk beds. 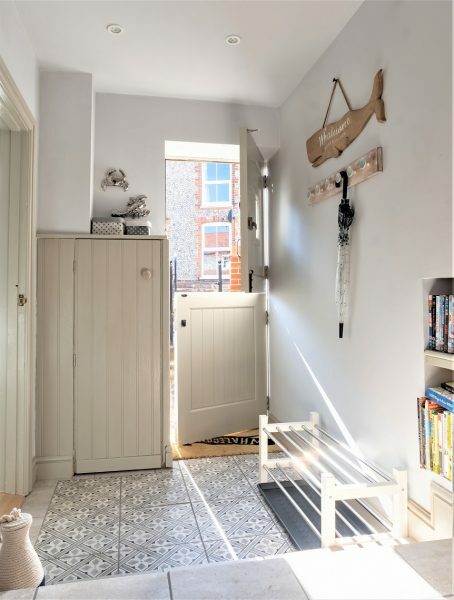 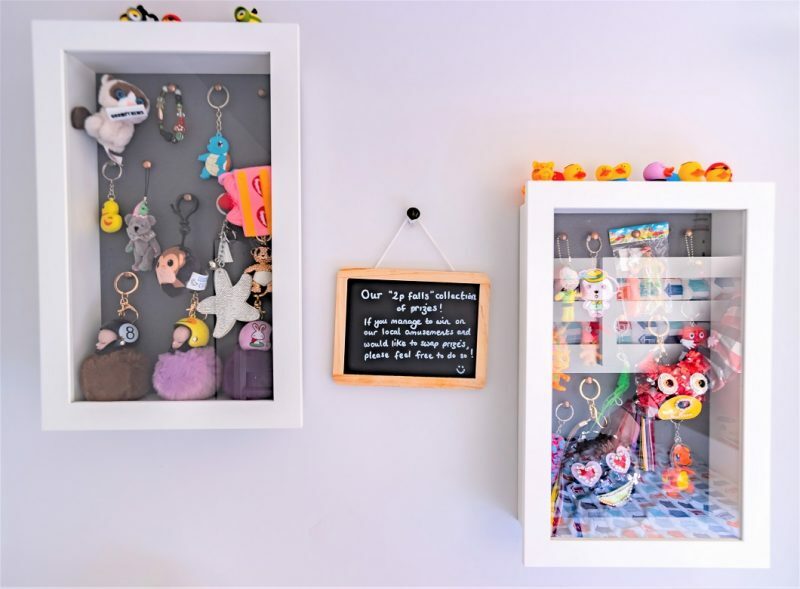 Both have hanging wardrobe storage and just the right amount of seaside chic! 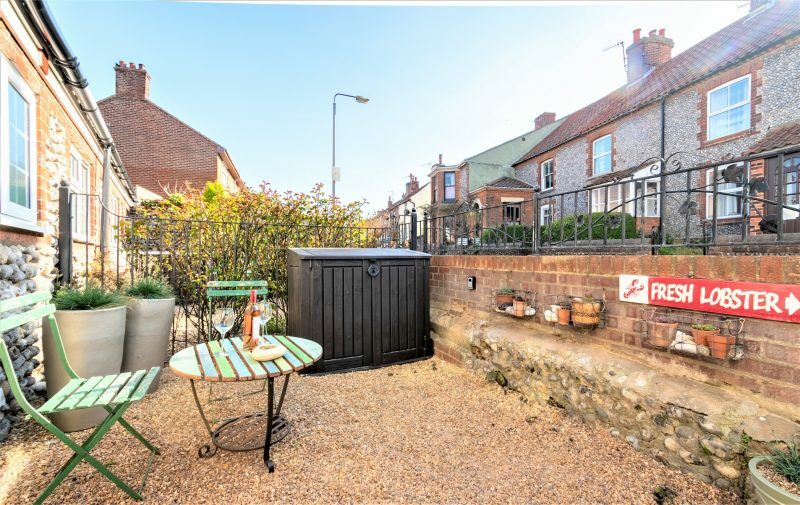 Outside, there is a pretty gravelled courtyard garden, complete with seating and planted whelk pots. 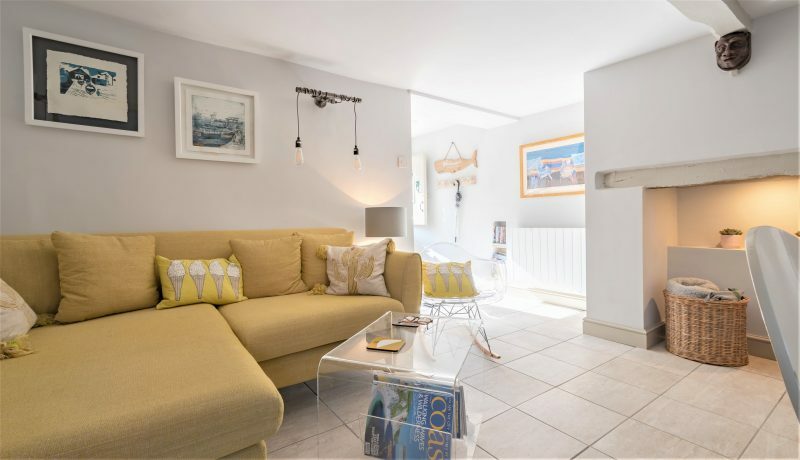 It is a perfect spot to soak up some afternoon sunshine whilst watching the world go by, or relaxing with a glass of wine after a long day on the beach! 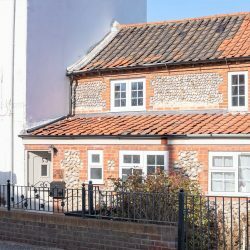 There is free parking on the adjoining street. 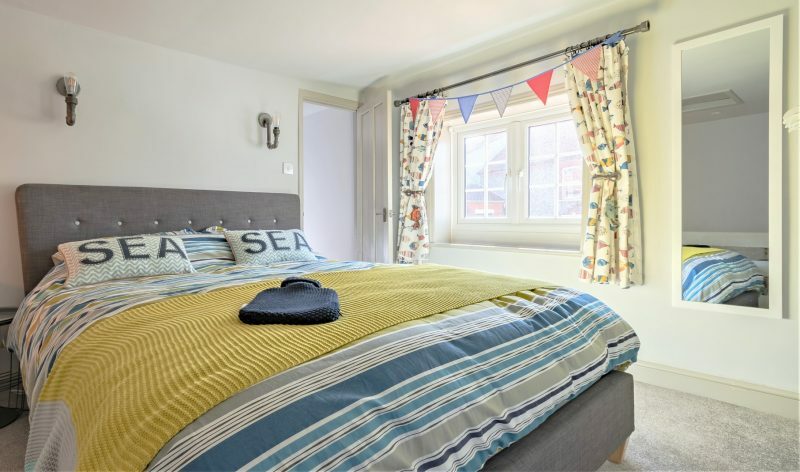 The High Street in Sheringham is home to an excellent selection of independent shops, tea-rooms, pubs, restaurants – not forgetting the all-important seaside fish & chip shops! 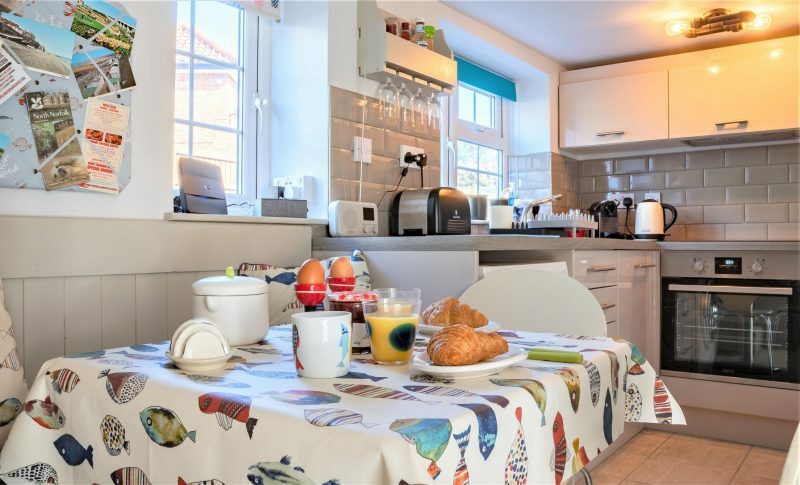 The town currently holds a popular market twice a week and also has a renowned golf course, mini-golf and a large leisure centre with gym and swimming pool. 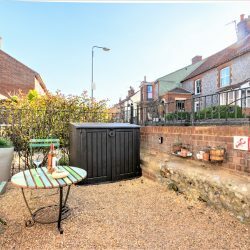 You will also find The North Norfolk Steam Railway, (Poppy Line) here which offers more than just a train ride, you can experience days gone by taking a steam train which runs through some of Norfolk’s stunning coastal countryside and ends up in the Georgian market town of Holt. 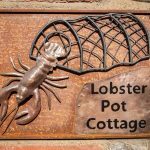 The Poppy Line also holds a number of events throughout the year including a very popular 1940s weekend. 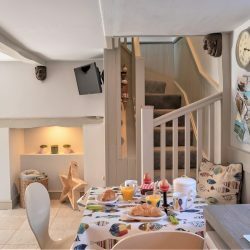 At Holt, you will find a large number of unique shops, art galleries and many quaint tea rooms to sit and watch the world go by. 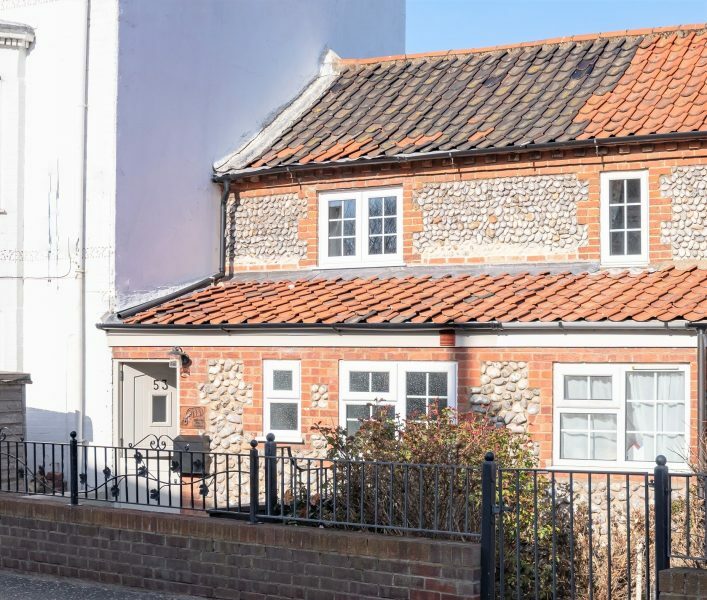 Further along the coast, you can discover the seaside town of Cromer, famous for its tasty crabs, pier and theatre with a variety of family shows. 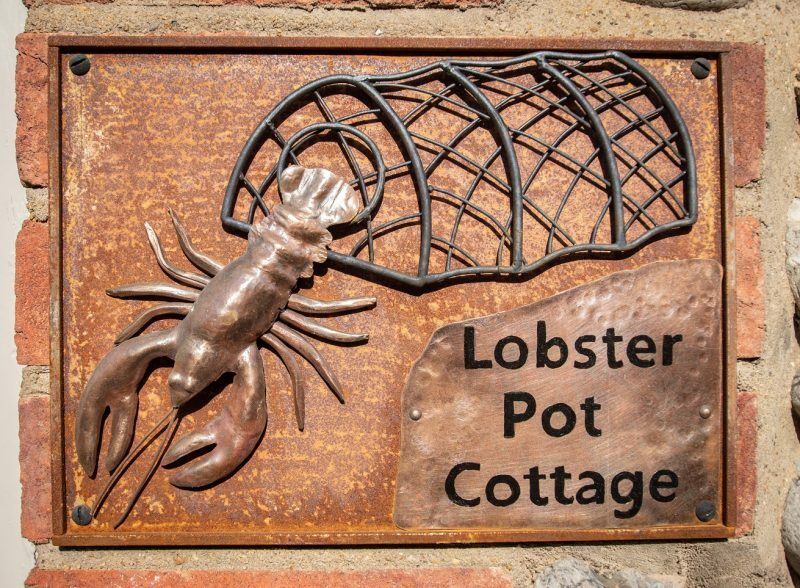 Lobster Pot Cottage was, as the name suggests, once a fisherman’s cottage. 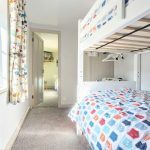 It has been sympathetically modernised with a nod to its past, but has great modern touches such as free Wi-Fi, USB sockets, digital radio and a Bluetooth speaker! 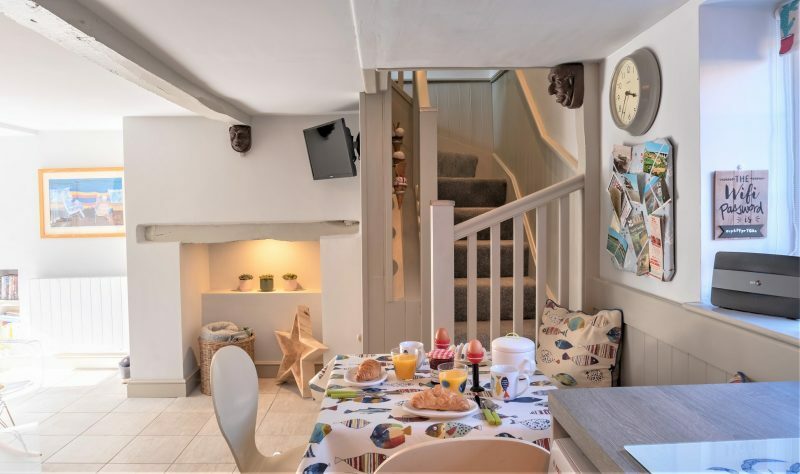 It is the perfect cottage for a family seaside holiday or a cosy couple’s romantic bolthole.